While the Dutch student Union LsVB has made an urgent call that more accommodation be made available for international students in the Netherlands, Wittenborg University of Applied Sciences is one step ahead – it has just announced more rooms for its international students in the city centre of Apeldoorn. The first students have already moved in, just before the start of the new academic year. Last week the LsVB called on universities, municipalities and housing corporations to do more in providing decent accommodation for incoming international students in the Netherlands. “Hundreds of international students still did not have housing at the start of the academic year. They are forced to sleep in hostels, in camping sites or even their cars. Some even abandon their studies,” a press release from the LsVB reads. “Universities actively recruited these students who are now left on the street. They (the universities) have to take responsibility as soon as possible by coming up with a solution,” the chairman of the LsVB, Tariq Sewbaransingh said. Meanwhile, as student numbers at Wittenborg grows, so does its student accommodation. 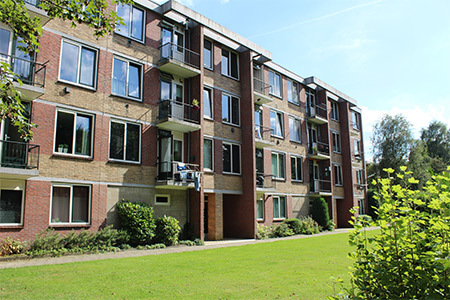 On Wednesday, Wittenborg announced the purchasing and renovation of a former office building in De Ruyterstraat, in the heart of Apeldoorn city. The development was also reported in de Stentor newspaper on Wednesday. According to Wittenborg CEO, Maggie Feng, the building can accommodate 34 students. Wittenborg acquired the property in partnership with Van der Leij Vastgoed, a project developer specialising in re-purposing office space into living quarters. Given the growth in the number of students over the past few years, the demand for housing has outstripped supply and the school had to consider acquiring more living quarters for its incoming students, Feng said. The university is one of the most international in the Netherlands, boasting more than 80 different nationalities among students. The diversity is also reflected in its staff component.